I’ve been asked what books I have read or are reading that has helped my abilities grow or that I find interesting. The first book I read as I was opening up to my intuition was by Caroline Myss, Anatomy of the Spirit. I not only read it but then got it on audio and really got more out of it listening and re-listening to this book. 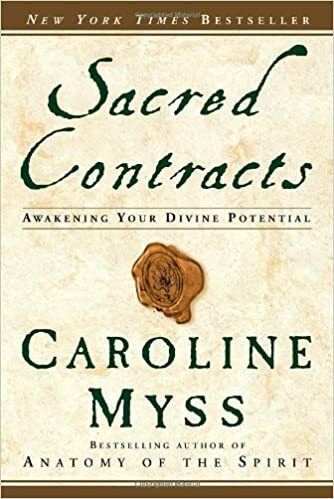 Caroline Myss is a gifted medical intuitive and it validated so much of what I was experiencing plus I kept thinking, wouldn’t it be cool to be that gifted and help so many people? It helped me be open to the possibilities and although I never thought I’d ever be as gifted as her, my desire to learn and grow over came any doubts and fears I had. The second book I read of hers was Why People Don’t Heal and How They Can. It was an excellent progression of learning reading Anatomy of the Spirit and then this book. I was such a newbie about chakras. These two books were excellent primers in learning about how that works and how our health is related to our issues. As I say, we store our issues in our tissues and Caroline Myss, describes how it all works masterfully. The third book of hers I used as a real reference book. Sacred Contracts uses archetypes and metaphor to describe our spiritual and physical ailments. Dreams and metaphors are powerful. It helps us understand ourselves, each other and our collective society. It can help us turn our subconscious drives to become conscious and that is an important step in healing our physical and spiritual bodies. If you are just starting to grow your intuition, I highly recommend any or all three of these books.